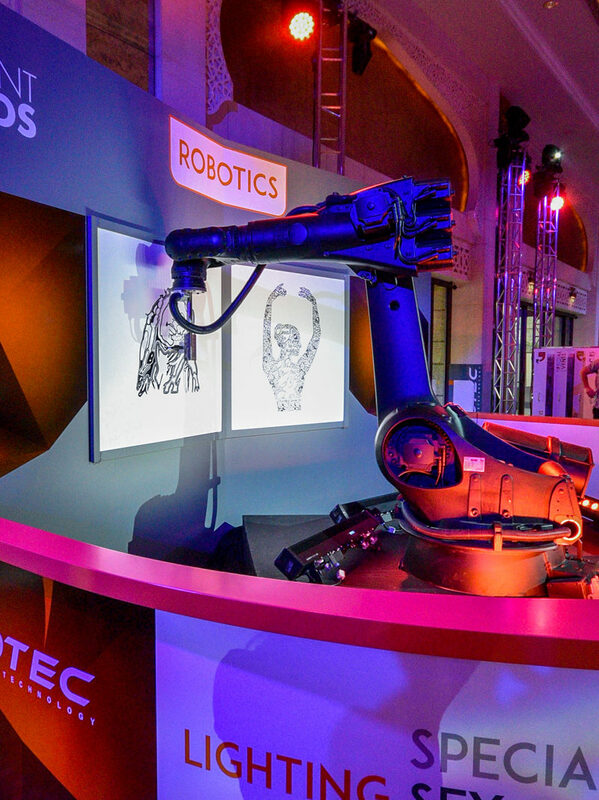 This specialised division in Protec is a dedicated department designed to offer corporate, live events and exhibitions the latest and most innovative technologies including robotics, drones and motion tracking. This is a specialist unit and a multiple award winning department which offers high end solutions to enhance all live event experiences with the latest and most innovative technologies that includes robotics, drones, live visual effects, artificial intelligence and motion tracking. Working in conjunction with our other departments that include Audio, Lighting, Video, Scenic & Staging, Rigging, Automation & SFX, Conferencing Solutions and Backline, our technical productions have brought events to life with experiences that range from intimately engaging to extraordinarily spectacular. Working within this unit is a hand-picked and highly skilled team who are not just brilliant engineers but are also creative thinkers who continually develop innovative and exciting ways to create more impactful audience experiences. 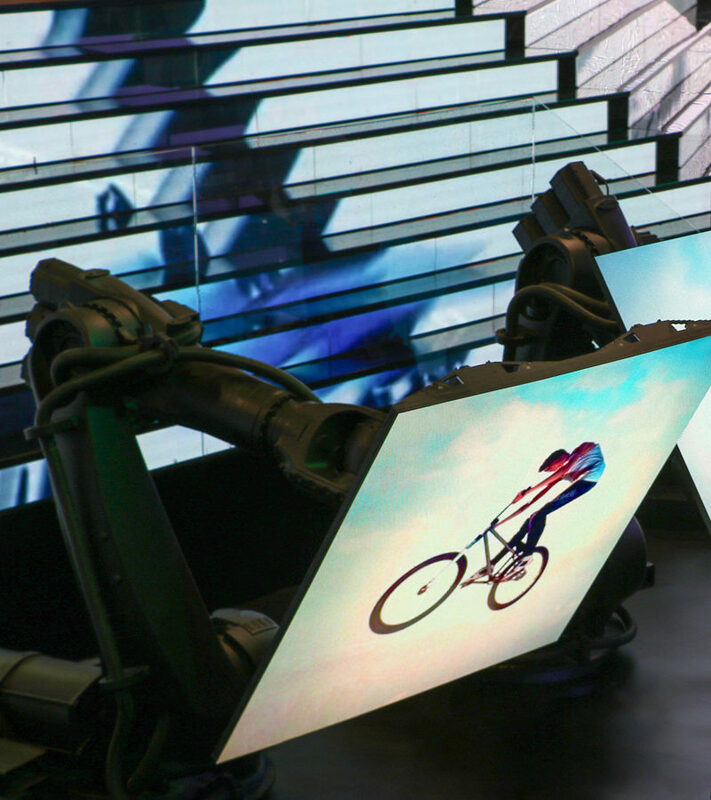 With the use of robotics in events and exhibitions gaining huge popularity across the globe, our investment in robotics has grown considerably to offer our clients a large palette of technological trends. Our engineers create and deliver new solutions with robotics using the technology imaginatively to support our clients’ creative ideas. As a result of our strong collaboration with our clients as well as our own creative zest and understanding of audience expectations, we exceed in converting these ideas into reality to deliver unforgettable event experiences. Blacktrax is a multi-award-winning tracking solution that has revolutionized the events and entertainment industry by empowering productions with unprecedented creativity and cutting-edge technology. BlackTrax delivers precise streaming positional data of a target or many targets to anyone that needs it and who wants to be more creative in the live events and entertainment production industry. BlackTrax is as real-time as it gets. Like a bridge between what used to be done and what can be done, as it allows for consistency between creativity, artistry, technology and freedom; vital components to filling seats and hearts with memorable experiences show after show. BlackTrax solutions are mobile, flexible, simple, adaptable and scalable to meet any production demand large or small. Capable of transmitting precise 3D and 6D positional data to automation controllers in a genuine real-time tracking environment ensuring your audience leaves every event feeling immersed by the experience, both visually and audibly. 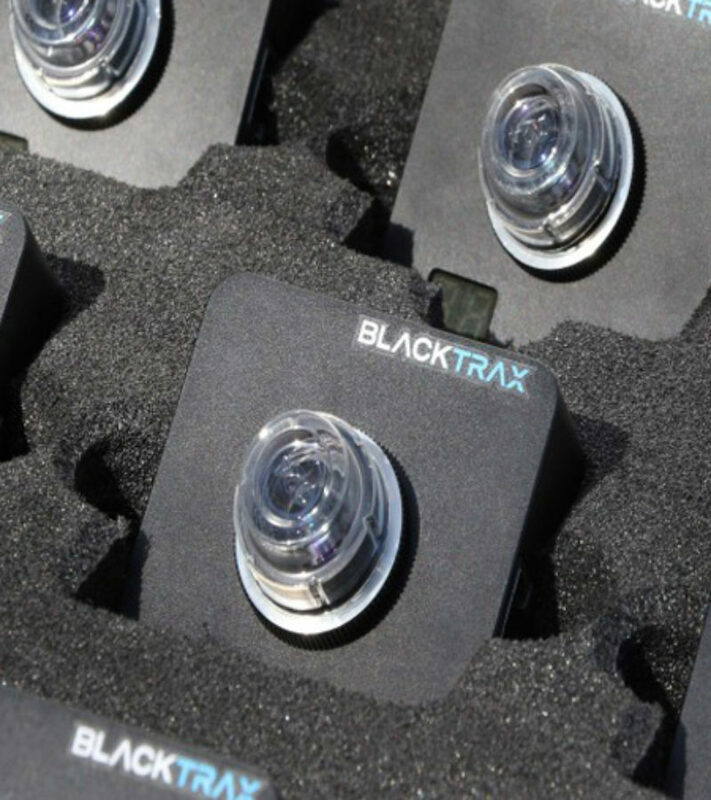 BlackTrax is the most intelligent tracking solution that you can get. Our operators have the ability to define zones in the virtual space that will trigger actions in the real space. The system is intelligent and goes beyond simple “on/off” tracking, with a range of features such as prediction algorithms and trigger points to fire up lighting or multimedia cues. Clients haven’t had to change their production scope, or compromise their creativity in making image tracking work for them. In fact it has enhanced their creativity, their freedom and allowed for complete spontaneity, while solving other production problems and also reduced their production costs.